We discuss General Motors’ plans to halt production at five factories in North America and cut more than 14,000 jobs. Also, what next for Nissan, Mitsubishi Motors and Renault after Carlos Ghosn was arrested on suspicion of financial misconduct and dismissed from his post as chairman? And, the challenges facing new pub landlords in Ireland. Philip Coggan hosts. Morgan Stanley v Goldman Sachs: is dullness the key to success for America's investment banks? Also, is mandatory arbitration the best way to deal with problem bosses? And, why medicinal cannabis in Germany is in short supply. Simon Long hosts. We digest the ambitious overhaul of the American tax system and whether the bill will become law by Christmas. And Soumaya Keynes talks to the EU Commissioner for Trade about how the EU is trying to keep China in check. Also market exuberance: shall we dance? Simon Long hosts. Our Technology Editor, Ludwig Siegele, says that despite the froth, Initial Coin Offerings could challenge the dominance of the tech giants. Also, will Venezuela finally default on its debt and how are markets reacting to the arrest of the Saudi Warren Buffet? Simon Long hosts. Henry Curr, our US economics editor, discusses how President Trump will fill the four vacant seats on the board of the American Federal Reserve. Also, a big data breach at the credit-scoring company, Equifax, puts millions at risk. And the contradiction at the heart of China’s internet giants. Simon Long hosts. Simon Long and Philip Coggan reflect on the suicide bombing in Manchester and its impact on the markets. In the rest of the programme: as heads roll at Ford, our industry expert Simon Wright explains the problems besetting the car manufacturer. Why some African countries are reluctant to sign up to trade deals. And, how Cuba has transformed a troublesome weed into a key export. Money talks: How will France&apos;s election affect business? As the presidential race narrows to two strongly contrasting candidates, we explore what a victory for each would mean for businesses. The digital revolution is making measuring GDP a bit trickier. Also, how a website that crowdsources algorithms for quantitative finance could disrupt the industry. The Chinese middle class led a boom in demand for luxury goods. But a government crackdown made consumers wary about showing off their wealth. How has China’s new modesty affected the luxury business as a whole? Also: India’s power sector has until now been dependent on using dirty coal but things are changing. And sand has become a scarce resource, leading to a burgeoning trade in illegal mining. Simon Long hosts. Brexit shook global financial markets so hard that some saw parallels with the financial crisis of 2008. Through all the economic and political uncertainties, the vote will fundamentally change Britain and Europe. 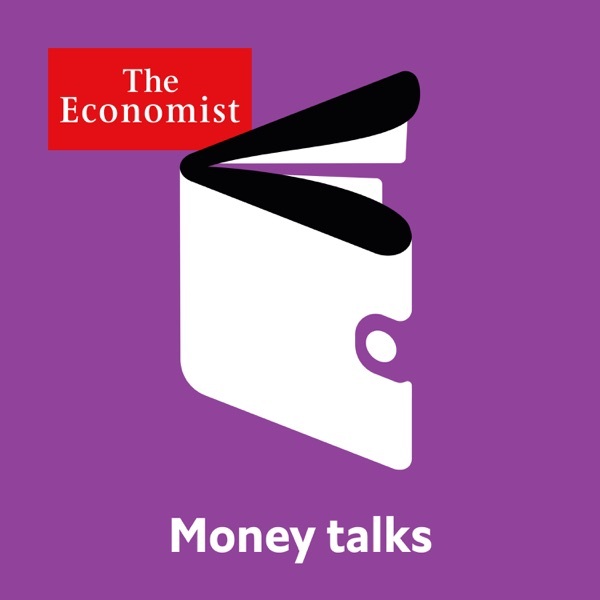 This week, Edward McBride speaks to our team of correspondents about the turmoil in the markets, the future of Britain’s banking industry and if there is anything regulators or politicians can do to save the City. Sacha Nauta, our European finance correspondent, also talks about the savvy traders who profited from the market fallout. Already under pressure to cut costs, banks are reluctant to spend on contingency plans. But leaving the EU could turn their business upside down. Patrick Lane, banking editor, reports. Also, Soumaya Keynes asks: how many workers are at risk of being replaced by machines? How should digital platforms like Google and Facebook be regulated? And quinoa has impressed everyone from Oprah to the United Nations but is quinoa competition putting farmers in Bolivia and Peru out of business? The Greek government's massive debts are troubling Europe again; and does the quest for affordable housing trump the right to a holiday home? The agile response of the Russian Central bank to the oil crisis caught many off guard; so, how did the organs of Russian finance weather the crash? And, as the Panama papers threaten global tax havens, where should privacy end and transparency begin? Corporate tax avoidance schemes cost governments an estimated $240 billion a year. Can new measures to curb the practice keep company profits away from offshore havens?